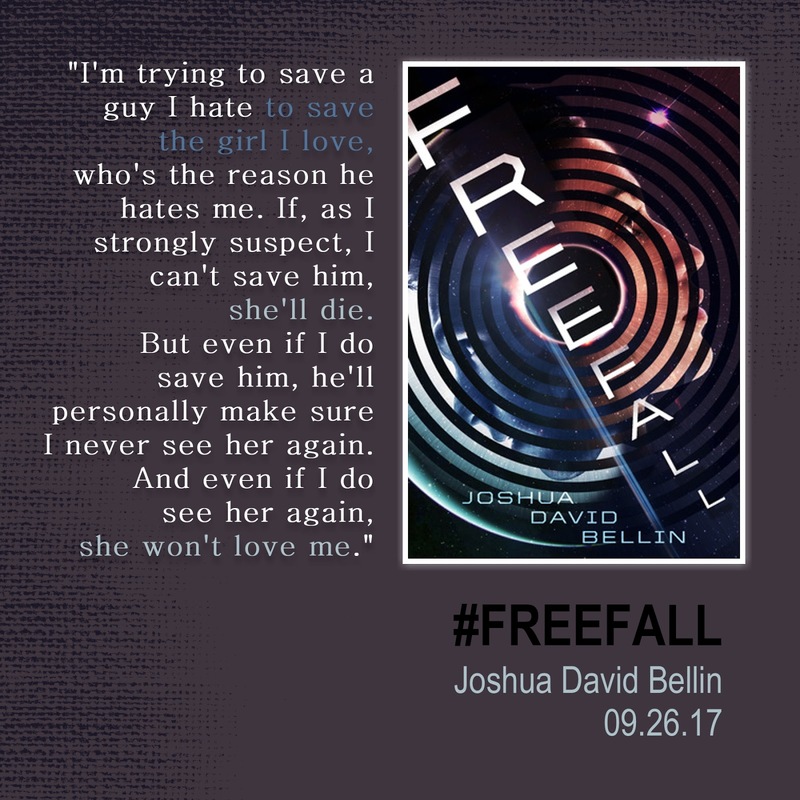 Releasing September 26, 2017, from Simon & Schuster, you can pre-order Freefall from Amazon and other major booksellers now. 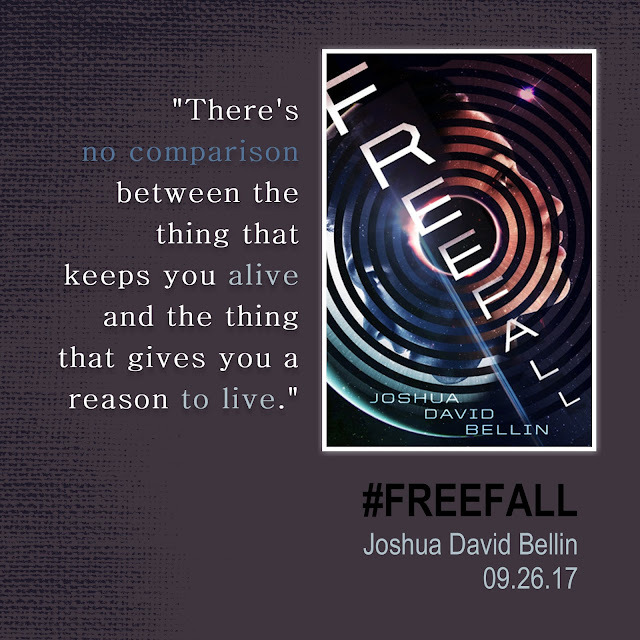 Freefall is another engaging novel from master world-builder and storyteller, Joshua David Bellin. I thoroughly enjoyed this space adventure! When the 1% and the 99% clash, the fate of the human race hangs on the actions of two teens from very different backgrounds in this thrilling sci-fi adventure. Then Cam sees a banned video feed of protesters in the Lowerworld who also want a chance at a new life. And he sees a girl with golden eyes who seems to be gazing straight through the feed at him. A girl he has to find. Sofie. 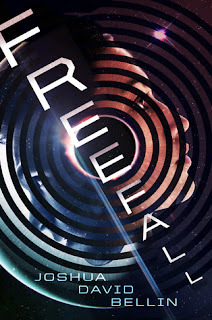 Freefall is Joshua David Bellin's third novel published through Simon & Schuster, and this book does not disappoint. Often times, I struggle to follow a non-linear narration, but Bellin handled the narrative skillfully and I actually found myself highly engaged when jumping back and forth in the story's timeline. With the story set in space in the future, Bellin utilizes fun word plays such as "corponations" and "MexSanto" to help build the world of the novel. The words I did not enjoy as much were the cuss words, which included taking the Lord's name in vain quite a bit. But those are my personal preferences. While it is necessary for teenagers to solve their own problems in a young adult novel, I did wish that Cam's parents had been more involved. I wanted to see more interaction with them at the beginning and in the middle to help justify their involvement at the end of the story. Those were the only two minor details that bothered me. EVERYTHING else I loved! I'm telling you . . . if you enjoy Sci-fi and/or young adult novels and/or adventures and/or monsters . . . this story is a must read, because Freefall is an engaging novel from the master world-builder and storyteller, Joshua David Bellin. Bellin amazes me with his ability to develop characters, settings, and monsters, allowing readers to envision every aspect of the story. I am a fan for life, and I look forward to reading his next story. Pre-order your copy from Amazon today! Thanks so much for the awesome review, Margo! Thanks for the review. I'm a sucker for a "waking up far in the future" story!